Susan Beale was raised on Cape Cod, lived in Belgium and France, and now lives in the Wells, Somerset. 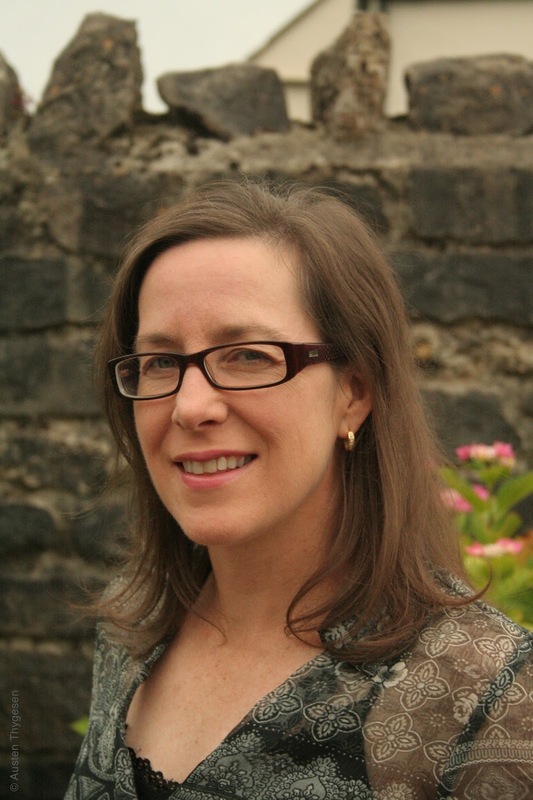 Susan has worked as a journalist and editor in the US and Europe. She is a former competitive figure skater. She is a recent graduate of the Bath Spa MA in Creative Writing. The Good Guy is her first novel. Ted, a car-tyre salesman in 1960s suburban New England, is a dreamer who craves admiration. His wife Abigail longs for a life of the mind. Single-girl Penny just wants to be loved. After a chance encounter, Ted becomes enamoured with Penny and begins inventing a whole new life with her at its centre. But when this fantasy collides with reality, the fallout threatens everything, and everyone, he holds dear. 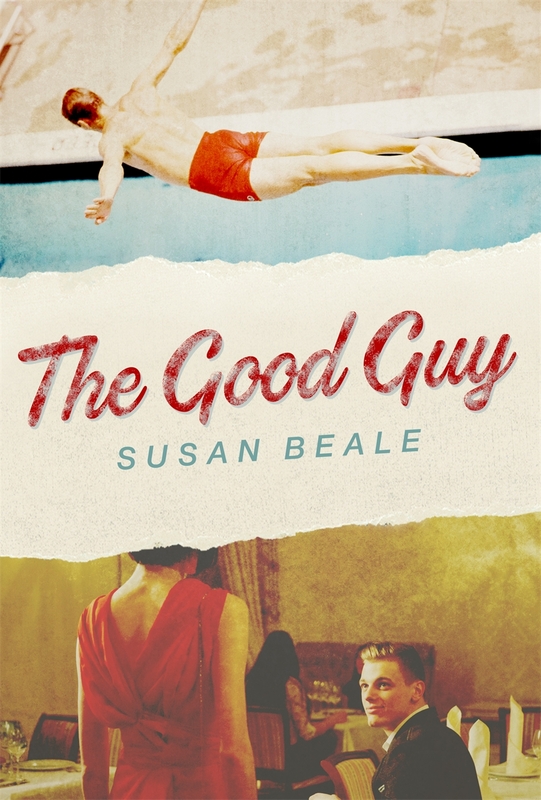 The Good Guy is a deeply compelling debut about love, marriage, the pressure to conform, and what happens when good intentions and self-deception are taken to extremes. The Good Guy is inspired by Susan’s life. Susan was adopted as a baby and only reconnected with her birth mother several years ago. The inspiration for the book came from her adoption files. The papers include interviews with her mother, grandmother and one with her birth father. As well as helping Susan understand why she was adopted, the papers paint a portrait of America on the cusp of the sexual revolution. It’s a time of unprecedented prosperity and conformity. Young people enjoy new freedoms, but gender roles remain clearly defined and expectations of morality and purity are strictly, and sometimes cruelly, enforced. It’s a world about to be shaken to its core. I always wanted to write fiction but I didn’t think I was smart enough, or talented enough. I became a journalist after university because it was a trade not an art. I wrote fiction on the side. Terrible fiction, that further convinced me I lacked the necessary goods. Journalism was a good fit for me and I probably would have continued with it forever, but when my kids were young, the combined demands of work and family pushed me to the breaking point. My son’s sock got misplaced at day care, one day, and my life unravelled. I simply didn’t have the spare five minutes it took for them to find it. I took a work break that ended up lasting fifteen years. When it was time to think about returning to work, the industry was severely disrupted by market forces and any contacts I’d had were long gone. There was no reason not to go for the moonshot of writing fiction. I’d kept at it over the years, and noticed glimmers of improvement. I took some courses and got better still. Four years ago, my family and I moved from Brussels to Somerset and I got the chance to do the Creative Writing MA at Bath Spa. That’s where I wrote the first draft of my novel, The Good Guy. I see the role of any writer as being a truth teller, not necessarily about facts and events, but about human nature and what it feels like to be alive. What fiction offers, that nothing else can, is a chance to step into another person’s skin, to see their thoughts, unfiltered. We get to understand their emotional baggage, their prejudices, beliefs, and misconceptions. As writers, we get to dream up whole people and decide their fates. It’s like playing God. What’s not to like? All the time. I think having empathy is a key requirement for a writer. Society has a tendency to assume that people who do terrible things are unfeeling monsters, but very few actually meet that definition. Even Hitler loved children, and doted on his dog. Besides, a purely evil person makes for a one-dimensional character, the answer to every probing question being: ‘because he/she is evil.’ Human beings are an incredibly complex species, full of passions, desires, and contradictions that must be balanced against the wants and needs of those we love. We try to choose our own paths, but circumstances bump us in directions we don’t necessarily want to go in. Life demands that we make choices, some of which we’re bound to regret, so we have to find a way to manage that, too. The individual struggle is what makes a story. For me, that’s every character because every person on the planet faces his/her own unique challenges and struggles, with his/her own sets of gifts and curses. We’re all striving to fulfil a goal, deliver on a promise. I do see part of my mission as a writer as giving voice to groups that have been historically marginalised by society. In The Good Guy, that’s unwed mothers in 1960s America. These young women were forced into hiding, shamed into silence, and then airbrushed from the picture. When they were mentioned at all, they were generally characterised as uncaring, unfit and deviant. As is probably true of all stories about America, The Good Guy has race issues woven into its fabric. It opens in 1964, when congress was passing of the Civil Rights Acts. It’s set in New England, which thinks of itself as superior to the south on issues regarding race. Relatively speaking, I guess, it was, but only because the south set the bar so damn low. One of the main characters, Abigail, causes a stir at a cocktail party when she says blacks ought to be able to live in their tract housing community. For her, it’s basic principle. She loves American history and takes the Declaration of Independence literally: ALL men are created equal. In her mind, only an ignoramus could think differently. At the end of the book, racial tensions are on the rise as Boston begins court-ordered busing to end de-facto segregation of schools and whites are fleeing to the suburbs. My idea of paradise is a small place, close enough to the shore to see, hear, and walk to the ocean, but far enough away so that I don’t have to worry about getting washed out to sea in a hurricane. If I’m actually going to get some writing done, the place ought not to have wifi or internet access. I can scan news websites until my eyeballs melt. Every time one of my favourite newspapers or magazines puts up a paywall, I feel a little bit relieved – one less distraction – and yet I always manage to find more sites. Anne Tyler’s Digging to America. Its themes of adoption and culture shock resonate with me, since I’m both an adoptee and an American who’s lived much of my adult life in Europe (the UK, France and Belgium). The multiple points of view – almost every one of the main characters gets a turn as narrator – are a testament to her skills as a writer. Each voice is authentic and unique and each character looks different depending on whether they’re being viewed from the outside or the inside. Events look different depending on who’s speaking about them and, remarkably, every version seems equally valid. The book’s structure helps drive home the over-arching theme of foreignness – of being on the outside looking in. Tyler understands what it is to be human, and can describe it with awe-inspiring understatement. In one scene, a recently widowed man tries to organise a spare room, only to end up making more of a mess. He sits on the floor saying, ‘What’s the point? What’s the point? What’s the point?’: it’s a perfect distillation of grief. To read and write relentlessly and to embrace failure. Fail big, fail often, fail audaciously until, one day, you fail at failing. I’m exploring the themes of loss and a sudden change of circumstance. Lizzy Bennet from Pride and Prejudice. I love her wit, her pert comments, as Caroline Bingley would say, her joy at the absurdity of human nature; most of all, I love that she isn’t perfect and that by the end of the novel she is a big enough person to recognise and acknowledge her own faults. The Good Guy is published by John Murray. Thank you to John Murray for the review copy. Greenacre Writers are looking for a book reviewer. GW run various writing workshops, retreats and a festival throughout the year and launched the first Greenacre Writers Short Story Competition in 2011. We held the first Greenacre Writers Mini Literary Festival in May 2012. The following year we held a 2 day event with an Open Mic as well as invited guests. In 2014 we changed the name to the Finchley Literary Festival reflecting involvement of more people in the local writing community, and a larger festival was organised courtesy of additional funding. On our blogspot you will find announcements of our latest events, writerly posts and the very popular, A Conversation with.... And now we'd like to add more book reviews. 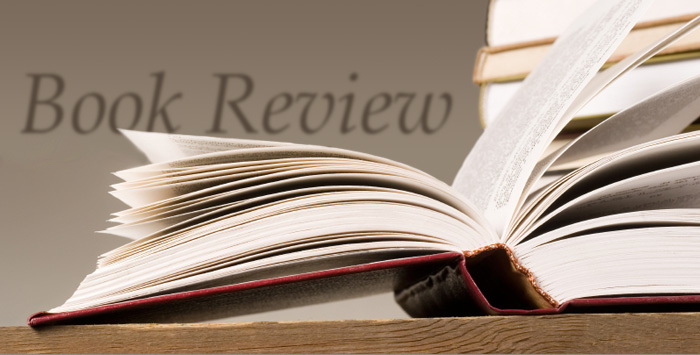 If you love reading and can write a decent book review, get in touch. Susmita Bhattacharya is from Mumbai, India. 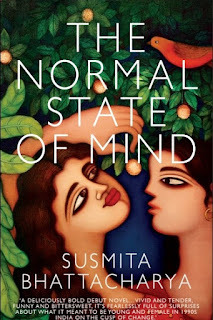 Her debut novel, The Normal State of Mind (Parthian), was published in March 2015. She is the winner of the Winchester Writers’ Festival Memoir competition 2016, and her writing has appeared in several magazines and journals in the UK and internationally including Structo, The Lonely Crowd, Litro, Wasafiri, The Bangalore Review, ElevenEleven (USA), Mslexia, Commonwealth Writers, Tears in the Fence, and on BBC Radio 4. She has recently moved to Winchester from Plymouth, where she taught English and hosted creative writing workshops. She is an Associated Lecturer at Winchester University. Her novel The Normal State of Mind deals with difficult subject matter such as the illegality of homosexuality as well as life in contemporary India. It's the end of a millennium. India has made tremendous progress in science and technology, but in these times of economic boom can a friendship between two women give them the power to defy society, and law, to reach for their dreams? Dipali, a young bride, is determined to make her marriage a success story. But her plans are cut short when her husband is killed by a bomb blast in Mumbai. Forced into a life of widowhood, her brother expects her to sacrifice her own independence for the sake of caring for her elderly mother but Dipali has other ideas. Moushumi, a school teacher, discovers that her attraction to women is not just a girl crush. As her parents discuss potential husbands, Moushumi escapes to her high-flying lover. But how long can she keep being a lesbian secret beyond the safe walls of glamorous art crowd parties? In the midst of communal riots and gay rights movements, India too has to make her own decisions about which traditions she must keep, and which she ought to let go. At the end of it all, who can decide what is the normal state of mind? 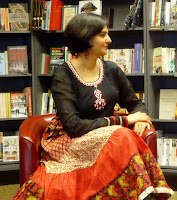 You can read more about Susmita's writing via her blog, Her Writing Life. We thank Susmita for participating in our Conversation and wish her every success with her new novel and look forward to seeing more of her writing in the future. I remember always writing as a child. I had an old diary, and a green ink pen. I wrote poetry in green ink, because I believed that’s what gave it credibility. I must have been 7 or 8 then. I wrote adventure stories, in the style of Enid Blyton and illustrated them in old school notebooks in the summer holidays. I was very lucky, my English teacher in school was a wonderful lady, who recognised my potential and encouraged me to keep writing and improve my skill. She taught us how to read, really read a text, appreciate it, learn from it, develop our own style of writing. After school, I didn’t write much. I went to art college, and then worked as a graphic designer. I wrote the occasional short story, but it was only after I got married and joined my husband at sea, as he was in the merchant navy, that I had all this time to actually write. I wrote letters, journals, stories, about my travels, my experiences, and a few novels were even attempted. It’s only after he left his sea career and we moved to Cardiff in 2004, that I realised creative writing is actually an academic subject. I was new to the UK, didn’t have a job, and wanted to enrol in some courses at the university. The Lifelong Learning department had a few Creative Writing courses, and I signed up for one. It was one of the best things I’ve ever done. The tutor was an absolute inspiration, she encouraged me to better my writing, and eventually suggested I do the MA in Creative Writing. I started taking my writing seriously then and embarked on a long, long journey writing my first novel. After ten years, it was finally published by Parthian last year. I write because I enjoy writing. But I know that I also want to use my experience as a writer to be able to enthuse young people to write, and read. I enjoy hosting workshops and working with people from all sorts of backgrounds, be it school children, refugees, cancer patients, anyone with a love for writing. I also want to write about themes close to my heart, and because I love reading books set in different countries and cultures, I want to add my own books to the list of diverse books for people to read! Hmmm interesting question. I wrote a short story about a woman who was badly bullied in school, but grew up to be a successful career woman. She bumps into the girl who bullied her at school, who is now not having a very good life. It made an interesting meeting, and conversations, where I began to feel sorry for the bully, and didn’t really take to the successful woman, who with her sense of superiority started giving the other woman a hard time. Since I am a ‘diverse’ author, my characters have been diverse, which means they are not diverse to me, in that sense of the word. For me, diverse is writing about a white person living in the West. I was very nervous to write about them because I felt I would not be able to portray them authentically. I am finding my confidence to write about people from all kinds of backgrounds, because in the end, human nature and relationships are similar anywhere in the world. I would love to return to Mumbai, and since all this is happening magically, I’d love to have a little cottage by the sea near Mumbai. Write on a balcony with a sea view, while being constantly supplied with coconut water and prawn fry. A well stocked library, and a well stocked fridge, friends, family and regular train journeys to Mumbai would be my fodder for a great writing life! I wish I had written A Fine Balance by Rohinton Mistry. It’s a beautifully written book about the lives of a widowed Parsi woman, Dina, two tailors who work for her business at her home, and a young man who comes from a distant town to work in the city and is a lodger in Dina’s home. It is set during the Emergency in India. The language is beautiful and the plot is so intricate, and the story so touching, it transports me straight into their lives every time I read it. It’s not any new advice, but the same old, same old. But it works. Read. Write. Read. Read. Read. Write. If you are lucky to find a writers’ group that works for you, then it’s a great opportunity to share your work, read others’ works and discuss. Be open to criticism and do not look down on other people’s work. Everyone has their own readership, and audience which may work or may not work for you. I am currently working on my second novel, and also a few memoir essays. I hope to have my collection of short stories published. I'd love to write a travel memoir of my time at sea with my husband. My favourite character has got to be Swami, from Malgudi Days by R.K. Narayan. I read Enid Blyton as a kid, and fantasised about having adventures on the moors and islands. But I didn’t know what a moor was. I had never tasted potted meat or ginger beer. But here was Swami, a naughty little boy in the imaginary village of Malgudi. His adventures, or rather misadventures, were more relatable. The stories were adapted into a hugely popular television serial, and it was a topic of discussion in school. We all wanted to do the things that Swami and his friends did! The theme song is playing in my head as I type this! It is sad that regional literature was not encouraged, and it was not cool to read anything other than English, when I was in school. There was a disconnect with what I read and what I experienced, as the geographies, culture, language, everything was different. I read Nancy Drew, Hardy Boys and I read and re-read Verne’s Journey to the Centre of the Earth. Maybe that was another book I could relate to because it could have happened anywhere. Thank you for having me on the Greenacres Writers Blog. The Normal State of Mind is published by Parthian. Mike Carey was born in Liverpool, England, in 1959 – describing his young self as "one of those ominously quiet kids... [who] lived so much inside my own head I only had vestigial limbs". As a child, he maintained an interest in comics, writing and drawing primitive stories to entertain his younger brother. He studied English at St Peter's College, Oxford before becoming a teacher. He continued to teach for 15 years before moving on to writing comics. M. R. Carey is an established and prolific British writer of prose fiction and comic books. He has written extensively in the field of comic books, completing long and critically acclaimed runs on Lucifer, Hellblazer and X-Men. His ongoing comic book series for DC Vertigo, The Unwritten, has featured repeatedly in the New York Times' graphic novel bestseller list. His superhero series Suicide Risk, published by BOOM! Studios, has been nominated for two Harvey awards. He is also the writer of the Felix Castor novels, and (along with his wife Linda and their daughter Louise) of two fantasy novels, The City Of Silk and Steel and The House Of War and Witness, published in the UK by Victor Gollancz. He writes mainstream thrillers as Adam Blake, and as M.R.Carey is the author of the bestselling novel The Girl With All the Gifts which has been adapted into a movie. The world premiere of Scottish director Colm McCarthy’s post-apocalyptic thriller, starring Glenn Close, Gemma Arterton, Paddy Considine and newcomer Sennia Nanua, will open the 69th Locarno Film Festival this Wednesday, 3rd August. We’d like to thank Mike for taking part in A Conversation… and send our congratulations for the forthcoming film and the books and more books. When Mike was a guest at last year's Finchley Literary Festival; some of the Greenacre Writers auditioned for Girl. Lindsay Bamfield as Miss Justineau and Rosie Canning as Melanie - though unfortunately they don't appear in the film. However, GW are looking forward to seeing the film when it reaches the local cinema and will organise a special Zombie film feast. It’s been very exciting and very unpredictable. I never really had any kind of a career plan, I just wrote whatever felt right to me and said yes to every opportunity that came up. Probably that lack of planning is the reason why it took me so long to get anywhere, but it’s also why I’ve done such a wide range of things – comics, novels, short stories, screenplays, radio plays, game scripts and so on. There’s a poem by Theodore Roethke that includes the line “I learn by going where I need to go”. I’ve tended to work like that. I’m not sure I’d necessarily recommend it, but it’s made for a really interesting career. That is, if what I do counts as a career. I started out writing reviews and articles for comics magazines. Then I pitched some stories for comic book series and got them commissioned, working my way through indie publishers in the UK and the US before I was finally offered a mini-series by DC Comics. For the next decade of my life, comics were what I mostly lived and breathed. I wrote literally hundreds of scripts – for Lucifer, Hellblazer, the X-Men, the Fantastic Four, The Unwritten. And then at a certain point I started to write novels alongside the comics. With very varied success, it has to be said, but I really enjoyed what I was doing and I gradually got more and more confident in terms of experimenting with different kinds of storytelling, different approaches and voices. Probably the breakthrough moment was when I collaborated with my wife Linda and our daughter Louise on two fantasy novels. Co-writing allows you to see into your blind spots. It’s a very rewarding exercise in that respect, as well as being enjoyable in its own right. I think storytelling is one of the most amazing things you can do, and to do it for a living is an enormous privilege. Storytellers entertain and enrich us, allow us to live in counterfactual worlds. And they hold mirrors up to the real world that help us to understand who and what we are. What I love most is being able to have an emotional impact on an audience – to make them happy or sad or thoughtful or amused. It’s a kind of magic. There’s no other way to describe it. All the time! I think that’s absolutely key to good writing. You have to write everyone from the inside, and see their point of view. Even if they’re monsters and their point of view is indefensible. A good example would be Caroline Caldwell in The Girl With All the Gifts. She’s very easy to hate. She kills children and forgives herself. But from her point of view she’s the hero of that story. She’s working to save the world, and she’s done the sums in her head. A few dozen deaths, or a few hundred, or a few thousand, to save untold millions and give the human species a chance at survival. She feels absolutely justified. And when I wrote her scenes I wanted the reader to be able to see that point of view. There’s no point in writing pantomime villains unless you’re writing a pantomime. I think it’s a very important thing to be aware of. I write speculative fiction, almost without exception – fantasy, horror and sci-fi – so I’m often writing characters who belong to non-human races or who have attributes that take them way outside the human norm. But it’s astonishing and distressing to see how many stories in these genres still take the white straight guy as the standard of normality. I try very hard not to do that. When I started out I found it easier to write male protagonists (Lucifer, John Constantine, Felix Castor, etc) but even in those books I tried to create a kind of balance by building supporting casts that were dominated by women. And then when I started to write stories with ensemble casts I tended to put women in the lead roles. I also tried to include characters of different races, and to recognise that there’s no such thing as normal when it comes to sexuality. There’s just a spectrum. Rhetoric aside, you can only write from one perspective – which is to say your own. But you can think about your own default settings and consciously interrogate them. Monochrome fictions are sort of a sad act in the genres I write in. What, you’re trying to imagine magical or alien realms and you can’t even get past your own parochialisms? All alien races have binary gender, binary sexuality, patriarchal power structures? You might as well be writing for Mills and Boon. Southern France. Stunningly beautiful countryside, great food, a gentle pace of life, endless opportunities to stop and smell the roses. The few times I’ve been there I’ve come away feeling refreshed and energised. I don’t think I’ll ever retire, but if I ever got rich I’d rent a villa in Provence for six months or a year and write an entire novel there. That’s a very tough question. I’m going to say Watership Down. It’s got that quality that lets you read it again and again and never get tired of it. And it immerses you utterly in its world. There are three things that seem to me to be really obvious and really essential. First, you can’t write if you don’t read. You’ve got to LOVE reading, and read endlessly. You’ve got to care about story. Your own voice starts out as an amalgm of the voices you’ve read and loved. Then you’ve got to write. And you’ve got to really keep at it. Writing is a lot of things, but at its heart it’s a mechanical skill – like riding a bike or knife-throwing. You get better at it by doing it. You hone your skill. You can’t expect to be a literary genius straight out of the box. And finally you’ve got to get opinions. I talked earlier about seeing into your blind spot – it’s something you really need to try to do. Read your stuff aloud to other people, or get them to read it and critique it. Join a writers’ group, or shamelessly exploit your family and friends (either way works). Honest opinions are like gold. By contrast, people who tell you you’re amazing aren’t worth all that much. You already know that, right? 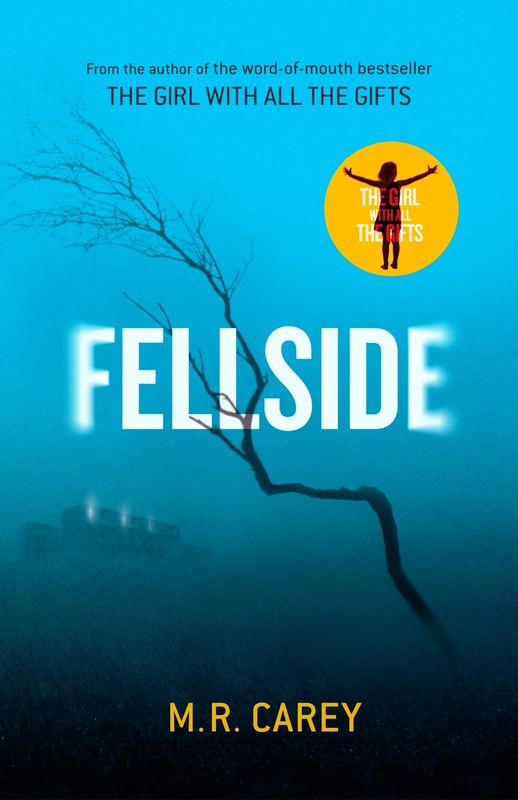 I’m working on a screenplay for my most recent novel, Fellside. And I’ve just submitted a new novel to Little Brown called Bedlam Bridge. 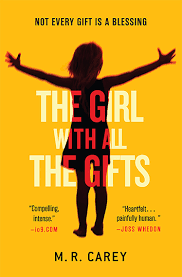 It’s similar to The Girl With All the Gifts in some ways – it’s post-apocalyptic sci-fi. But it does its own thing. And I’m writing a comic book for a French publisher, Glenat, which is an epic fantasy with a political edge. It’s called Highest House, and Peter Gross is doing the art. Probably Arrietty from the Borrowers books. I loved her courage and her curiosity. And I loved the way things that were familiar to me became strange and wonderful when they were seen through her eyes. 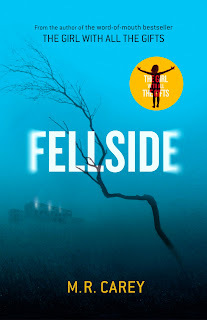 Thanks to Mike for the review copy of Fellside.